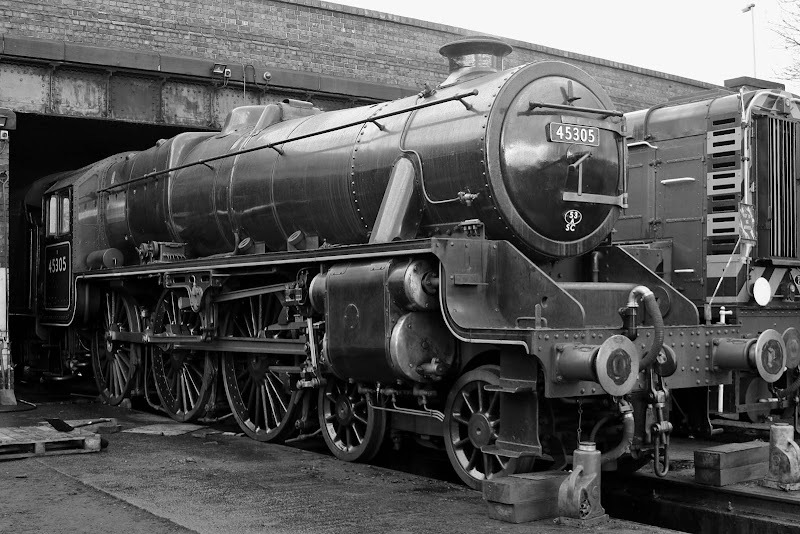 LMS Stanier 5MT 45305 on shed at Loughborough. 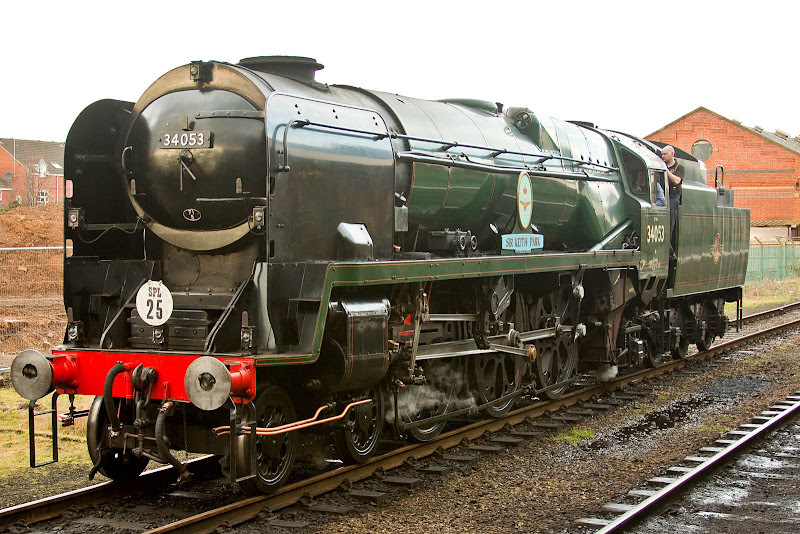 SR Rebuilt Bulleid 'BB' 34053 Sir Keith Park at Loughborough. 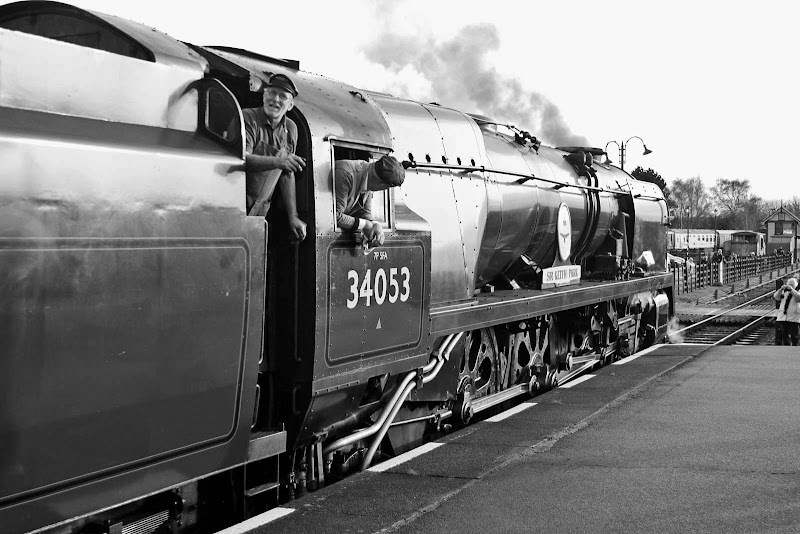 34053 prepared for departure from Quorn. 34053 makes an earlier departure from Quorn. 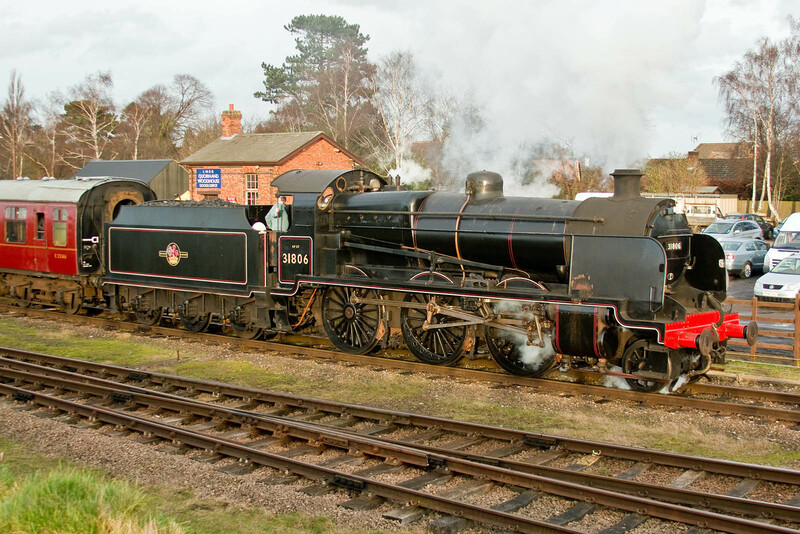 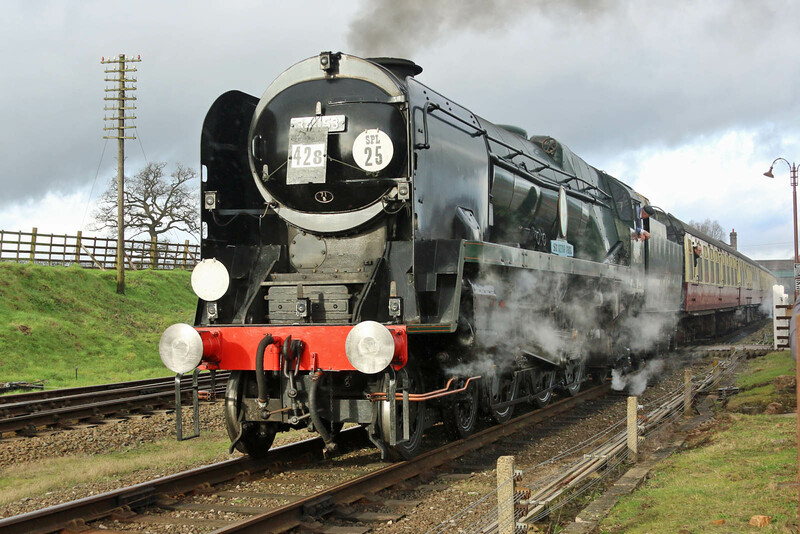 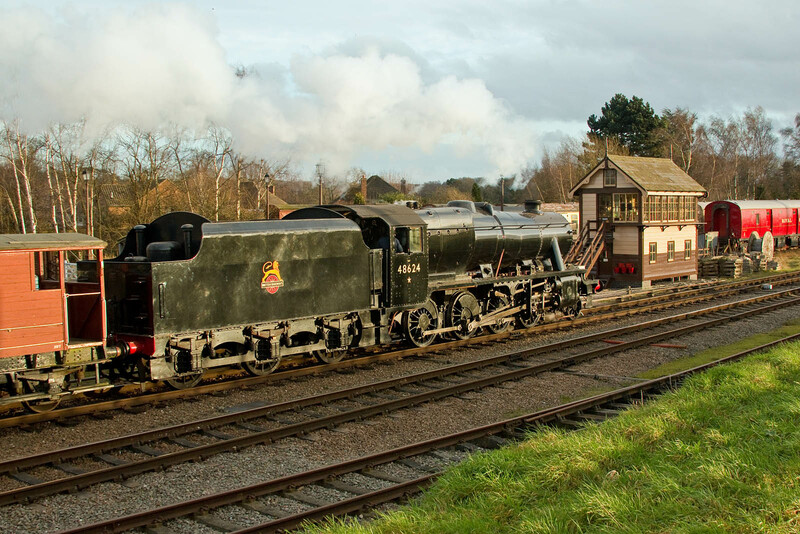 LMS Stanier 8F 48624 departs from Quorn with a mineral train for Rothley.